Do the Rheumatoid Arthritis tests pass the tests? Those patients are referred to as “seronegative.” Sometimes, I think they are considered the stepchildren of the RA community. Too often, they are initially told by their doctors that they do not even have Rheumatoid Arthritis. Of course, that makes it impossible for them to receive that “early aggressive treatment” which the ACR is now urgently recommending. The Rheumatoid factor is actually only one of the antibodies which can be found in people with Rheumatoid Arthritis. I think it got to be the one called “Rheumatoid factor / Rf” because it was the first one identified. It is an antibody to immunoglobulin. It was discovered in 1940 using sheep blood cells. Another problem with the Rf test is the number of false positives. At least 2% of the general population test Rf positive and some estimates are as high as 10%. The anti-cyclic citrullinated peptide is another antibody (immune protein). It is directed against certain amino acids (peptides) containing citrulline. It is often called the anti-CCP. The erythrocyte sedimentation rate is also called the sed rate or the ESR. The sed rate is a simple screening test. Blood is allowed to settle in a test tube for one hour. The reading or “rate” is the number of millimeters of red blood cells that fall to the bottom of the tube in one hour. The sed rate is considered an inflammatory indicator. High rates often correlate with inflammation. An extremely high sed rate is often the first indicator of a cancer tumor, for example. However, a sed rate itself is not diagnostic, so it usually leads to more tests. Sed rates can be unreliable unless the blood is handled properly at all times. There are also several conditions other than inflammation which can influence the test results. High sed rates are considered strong indicators, but normal ones are less conclusive. The C-reactive protein is often referred to as the CRP. This is also a non-specific marker of inflammation. High results indicate acute inflammation. CRP’s are also being used as a measure for heart disease. Next time, we will look a bit deeper. Exactly how reliable are these RA tests? How many RA’ers fail them? ← The Truth About Rheumatoid Arthritis Info Will Be Told! Thanks for the succinct info re. blood tests. I'm one the seronegative "stepchildren". Good thing that the ACR guidelines state that 4 out of 7 indicators should be present for a positive RA diagnosis. Positive blood tests do not need to be one of the 4 indicators. Perhaps the lack of positive tests in 30-40% of people with RA is because there are many types of RA. This may also be supported by myriad of symptoms in people. I wonder if researchers are working on other blood indicators? I look forward to your future posts on this topic! Thank you for putting in so much time and effort on giving us an easy-to-understand explanation regarding tests for RA. I was fortunate that when I was diagnosed (in the late 80s) the RF showed up in my blood, first time. Later, it didn't … and that's when the U.S. Army Internal Medicine doc I was seeing at the time told me that it often DIDN'T. Today there are more tests, and by looking at them all, the docs can make a better and more sure diagnosis. They've come a very long way since the late 80s. 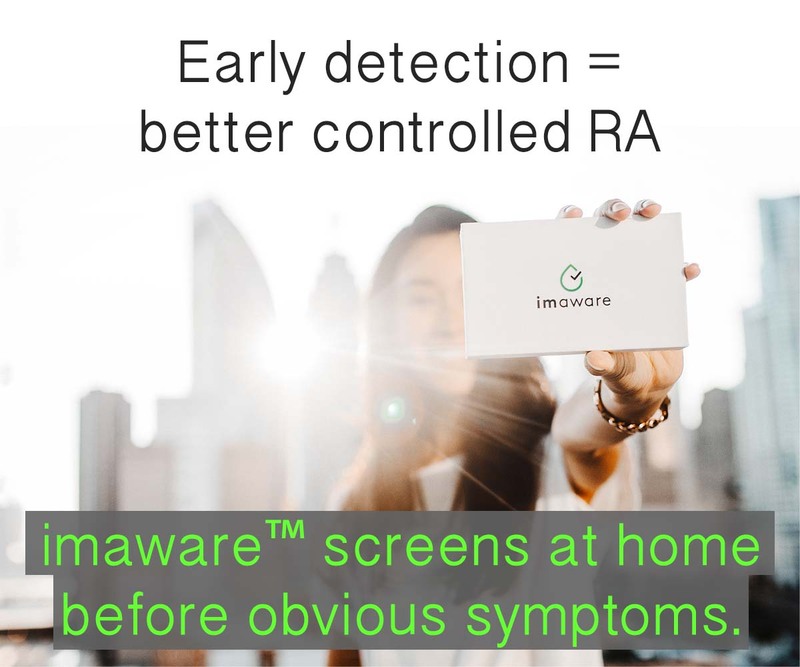 It gives me hope for those RA sufferers who are younger — the disease will, hopefully, be diagnosed more quickly and action taken more quickly, too. Thank you very much for giving such a nice article about blood tests. I am very happy for that because My one of the friend has a Arthritis.He had tried so many medicines. But there are no solution of it. I am going to give this article to him. I am sure it will help him a lot. As I took all these tests, my doctor seemed to string me along and never gave me a definitive diagnosis. I thought he kept having me come back for more money; I wondered why he just did not tell what was going on with my hands. Now I see why. It is not so black and white as is diabetes or heart disease, which I have both. When I backed my doctor into a corner, he gave me the bad news. Now I research every day and read this site for more info as my RA progresses. Melissa, Most likely if they say it’s RA then they will prescribe methotrexate. Weight loss is classic RA and I hope you are able to stop that soon. It can make you pretty weak. If you’ve had symptoms over a year, I’m not sure your treatment is considered “early” at this point. Make sure you tell them every symptom you’ve had and for how long. Good luck to you. I’m so confused on my diagnosis of RA thru blood test. For year half I’ve been told I have RA and have been trying to find a treatment that helps. So far they have caused my hair to fall out, weight gain and liver enzymes to shoot thru the roof! Now at my recent appt I agreed to see Nurse Practitioner which was my first mistake. She proceeds to tell me just because my RA factor is 137 and my pain level is unreal in my joints etc., does not mean I have RA. What? So why am I here? Then they call a few days later, tell me my CCP? is neg. I don’t have RA, even though my rf is 137 and I can’t move. Please help me understand this or have I been given wrong info by this N.P. and need to wait for my Dr. to return? Again, for year/half I’ve been treated for RA an fibromyagia, thanks!! Dear Linda, this disease is diagnosed by opinion of a doctor. A doctor has guidelines, but there is a lot of subjectivity to it (personal judgment). If you see different doctors they may offer different opinions about your diagnosis or severity or treatment options. It’s very frustrating that we are so early in the understanding of a disease that is so devastating. It certainly does sound like RA and I wouldn’t change anything until your doctor comes back. You could also seek a second opinion you are worried – I don’t know how long till he comes back. And obviously, we need improved tests that will come from research that focuses on patients. Thanks so much Kelly for your input. My Dr is on maternaty leave an I think she comes back the first of May. 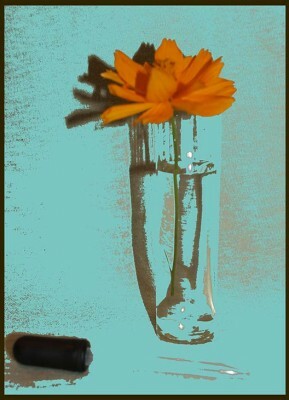 I told the nurse yesterday (after another lovely talk w/her) that I will be back as soon as she come back. Not in 4 months as told per the N.P. I love the site and have sent it to a few family members. Because I am like so many others that have family that feel it’s ‘just’ arthritis, NO big deal! Along with the RA and fibromyalgia I’ve had 4 back surgeries and still have 6 ruptued disc w/severe rips/tears. So the RA diagnosis was just the icing on the cake! Thanks again for your good work! Thank you for your site. I recently participated in a health fair that offered free RA testing as part of a study. I sat with the Rheumatologist who was running the study and he poked at my fingers and said I likely didn’t have RA. I have a lump on the inside of the middle finger that caused me to think I should have it checked out and he told me to see an orthopedic hand surgeon for it. The test results came back last week with a Anti-CCP of 29, coded as a weak positive. I read that RA should be treated early, but don’t know how to tell when or if I am supposed to be treated. Is this test enough to trigger treatment? Every body is different, but you did just described exactly my first symptoms. Same bump, same anti CCP value. My Rheumy monitored for a few months but, as several more joints got involved (still mild compared to what i read others suffer through) said it was time to start the methotrexate and start fighting back to minimize damage. Not a recommendation for you, but a data point. I hope you’re still reading. I’m sorry I’ve been offline a while with a virus. Do you have any painful joints or other symptoms such as fever or fatigue? You’re very correct about early treatment – as soon as you’re sure you have RA. This is a difficult thing to determine early with the tests we have now (DON’T have). I’ve been through the same thing with one of my kids who seems to have symptoms sometimes but is ok other times. My own RA did that for over 20 years and would not have been diagnosed. Until we have better tests, you can watch carefully for joint symptoms and also for other things that are common with RA such as dry eyes or any other health irregularity such as heart or lungs. Did you see an orthoped about your finger? Maybe if they do operate, they can get a look at what’s going on directly & be able to identify whether that’s RA. I’ve seen people diagnosed during surgery several times. Also, ultrasound can give a better idea what’s going on in there. I suppose you are probably in the Denver area since that’s where I know they are doing such testing at health fairs – the only place I know of in the US. It’s such important work they are doing there – learning about very early RA & what happens even before diagnosis. I hope you don’t have it. Good luck! Thank you Kelly and Lisa. I am in the Denver area and Dr. Kevin Deane was the rheumatologist I sat with at the health fair. I made an appointment with an orthopedic hand surgeon for July 11, so hopefully I will know more after that. As for the way I feel – I think the best way to describe me is this: my muscles in my legs almost always feel like I have just woken up the day after doing a long hike or run. But the issue is I have not. Also, I haven’t woken up feeling refreshed in a long time. I feel like it is my muscle pain (as though they are recovering from a big exercise event) and lower back pain that really bother me the most. The rest of my body feels okay. I really appreciate your time and help and will follow up here after the appt. on July 11. If Dr. Deane calls, as his health fair follow up letter suggested he would, are there any questions you suggest I ask? Because I was scheduled for surgery for an unrelated foot issue at the same time I developed my ‘mystery bump’ and my surgeon is a hand/foot specialist, I showed it to him and he removed it so he could have it checked out just in case it was, well, something not so good. After pathology report came back negative and nothing he’d ever seen before, we just chalked it up to a mystery. After I ended up with my Rheumy, I took him the reports from the surgery, but he could tell nothing from them. No idea if that would have been different if he went in looking for RA nodule.. Or looked at joint with RA possibility in mind. So ask what can be determined surgically and what is the best process for doing that. Just saying ‘take the bump out’ didnt give me any new information and actually removed a possible diagnostic indicator that might have gotten me diagnosed a year earlier. I went to my primary doctor 3 months ago feeling like I had the flu but wasn’t coming completely better. He took a series of blood work and one was for RA and WEST NILES. I was confused, he told me to go home rest and drink plenty of water. So after a week they called me and said my ANA showed that I MAY have RA and also WEST NILES so next week I am going to see the Rheumatologist. They didn’t explain to me that what I was feeling was not only west niles and could be RA along with it. I am so confused. Just a week ago I started waking up with pain in the middle of the night(shoulders,hips,lower back pain, elbow pain during the day and lower back pain lasting all day. I’ve been sick, exhausted, fatigued, dizzy. I feel like I have both with the pain too now. HELP! Could that ANA be false negative or do you think I have RA? RA or Rheumatoid disease is a systemic disease that causes a lot of symptoms that can be severe and it’s possible that all the symptoms you named are from that – IF you have it. Of course I don’t know whether you had the West Nile virus either, but the Centers for Disease Control say it lasts up to two weeks. If you still have the symptoms after 3 months, that seems like you do have another illness. The ANA test is just an indicator that there are a certain type of antibody in your blood (anti-nuclear antibodies). It doesn’t say why they are in your blood or what you have. There are different illnesses you could have such as Rheumatoid disease (RA) or Lupus or others, that often (not always) give you a positive ANA result. For example, before I had RA like I do now, I had a positive ANA for many years due to my thyroid disease. If your ANA is high, the rheum doc will do more tests to try to help nail it down. It’s really important you have a clear list of what your symptoms have been and how long they lasted. Also, try to take someone else with you to help remember all the symptoms & everything the dr tells you. Here’s a link to an article that might help with that. 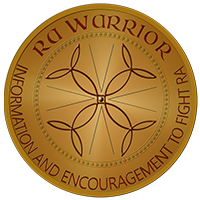 https://www.rawarrior.com/meeting-the-new-rheumatoid-arthritis-specialist/ Also on the top menu it says Do I Have RA – that page might help you too. Should the Anti-CCP test be redone if it was positive to begin with? I guess I am just wondering if that is a number that can fluctuate or if you test positive once, then you will always be positive. 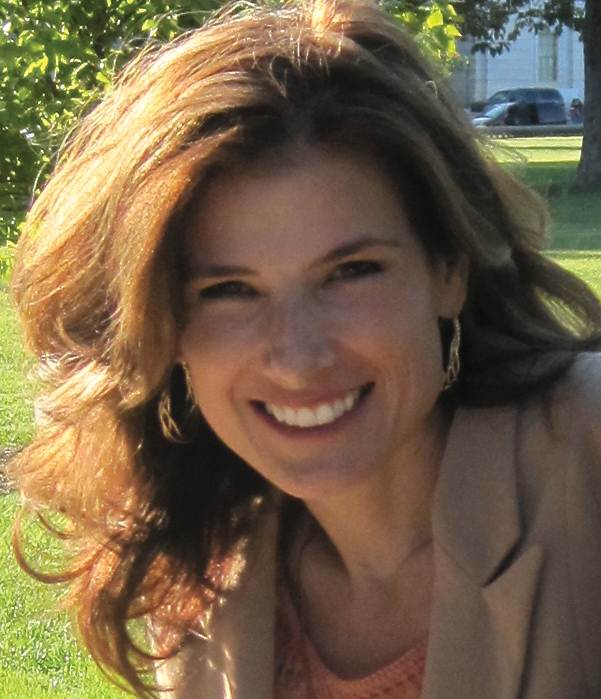 Kelly – I just wanted to thank you for an informative and honest site to turn to for support. How do you ask your Dr for a different test other than RF? I recently tested “positive” for RA. I have had no symptoms, but my test came back abnormal. My SED Rate DNA AB (DS) came back as 38, and my Rheumatoid Arthritis Diag Panel came back at 44. I was put on Plaquenil. After I started taking Plaquenil 400 mg) I started having some tingling in my hands and slight discomfort in my wrists. has anyone else had similar reactions. I asked my doctor to lower my dose to 200 mg, and she agreed. I have not started the the new dosage so I’m not sure how it will make me feel. If anyone has had a experience please let me know. I am really glad I have found this site. There are so many sites that have info about RA but that don’t seem to fit me! I am not officially diagnosed as yet – my GP says I most probably have RA and I’m awaiting an appointment with a rheumatologist to confirm. My blood tests are positive for RF (51 – should be <14) and Anti-CCP (20 – should be <4) but negative for ESR and CRP – which dr can't work out. What prompted the blood tests was iritis – but I have had fatigue and many aches and pains for probably 2 years now. As well as depression. I do have some joint pain particularly in the hands and knees – but worse than that is the muscle pain. Interested to find that this can also be because of RA. Pain regularly prevents me from getting to sleep or wakes me up (hence writing this at 3.30am). If my Anti-CCP is higher than the normal rate – does this mean it is likely that I have RA? It’s hard to know Karen, but I’d definitely re-check that ccp antibody in a few weeks if symptoms are continuing. Also, maybe check it through a different lab. The RF being positive too, it’s likely your symptoms are rheumatoid… At least 40% of us have normal esr or crp so I hate to argue with the doc, but he’s just been misinformed. If it is RD, you could be identifying it early on, which could mean a better chance at a good response to treatment – I hope so. Good luck. I was diagnosed with RA in 1995. For the last 8 years I have been on Actemra (I started on the research). All of a sudden I have just become immune to the drug and am in alot of pain just like I was before the Actemra, but my sed rate is only at 2 and my crp is low also. Can you have active disease and inflamattion in your body and still have a low sed rate. Also can you actually see inflammtion in regular x-rays of the joints or just deterioation. No I have not heard that. Yes there are always new markers being explored, but the ACPA (anti-CCP test) is still the most highly correlated w/ RA and with severe disease. Thanks Kelly just as I thought. I see my new doctor in two weeks…hopefully he will be my “Dr Smart”. Thank you for everything you do here. It has helped me a lot. Thanks for this information. I am so frustrated … tests come back negative. 10 years ago had a couple tests come back positive bit negative since. Then starting last year had elevated ESR and CRP. Some other tested in normal range but high normal. Having symptoms of RA; Sjogrens and some indicators of a few others – as we all know they overlap. Only diagnosis I have at this point is Fibromyalgia; Osteoarthritis; Osteoporosis. All of the doctors(Orthopedist, Neurologist; Otolaryngologist; Opthamologist; Pulmonologist; Cardiologist and PCP) are leaning toward Sjogren’s Rheumatologist is out of office until May but bloodworkordered by Opthamolgist came back with elevated RF,CRP; ESR and anemia. Hopefully will get a diagnosis soon. Have appointment with Dermatologist soon. Also have an appointment with Neurosurgeon because they discovered a rare cyst on spinal cord – only 7 surgeons in the country deal with it. So information really helps. Thanks so much for your hard work in setting up this site. When I tested positive for ACCP last year (score of 577! yes, it was really that high), I went through a number of sites to get information to prepare myself. Yours is one of the sites I visited. I got so much courage from your site and your humour. Thank you very much for helping us all. I was given the option by my rheumatologist to start on medication right away but I refused. This year, my RF test score was 18 (down from last year: 28). But my bone density went down and my pelvic joint is now osteoporotic. Despite my heavy calcium supplementation the whole of the last 12 months. Sigh. I have been praying for healing and recently, tried L-glutamine to heal my gut. I read that most autoimmune diseases start from the gut. I noticed my health went further downhill last year after I had dengue fever (it’s common in Malaysia). I was in hospital for 9 days and platelet count went as low as 10,000. The doctor treating me for dengue told me I was lucky to survive that. Recently, I had a tonne of symptoms pointing to anaemia but the blood tests by the rheumatologist showed haemoglobin in accepted range. But I took foods high in iron and my symptoms are less after 2 weeks. I am not feeling so down or tired now and just wanted to record my thanks (very tardy :P) to you for helping me through some dark periods. Wishing you all the best and good health! Two days ago, my doctor told me the rheumatoid factor came back positive and my inflammation test was 51. I am not sure which test they are calling the “inflammation test..” I am being referred to a rheumatologist whose waiting time is 2-3 months. Thanks so much for the info on your site. Its helping me come to terms with my potential diagnosis; my doctor says she is sending me to the rheumatologist to make sure it isn’t a false positive. I am seriously doubting that because of the inflammation numbers and how I feel. I am sitting here, reading these comments, literally in tears. I have just turned 58. I was diagnosed with RA 2 1/2 years ago. This was after years of unexplained pain, swelling, weight loss, constant low-grade fever….etc! By the time I saw a rheumatologist I had marked bone erosion. I knew nothing of RA and had no idea of the damage that was progressively destroying my body. I had always been one who “toughed things out”! I have been out of my meds now for about 6 months. No one understands how expensive a chronic illness can be! Constant trips to Dr offices; soooo many specialists, are expensive even WITH insurance! Add to that my guilt over being such a “burden” to my husband and I am continually struggling with depression. I am so glad to have found your articles! I have felt alone for such a long time. No one in my life, not even my husband, understands the devastation this disease has effected in my life. Finally, I KNOW that I am not alone. If you have any suggestions that would help me cope with my, now copious, limitations I would be greatly appreciative. I suppose I am mostly venting. Thank you so much for all of the information you work so hard to provide for all of us. God bless you. I see there are many people who claim dietry cures or at least easing of symptoms, yet for the majority i see this does not work. I’m wondering if there might be a link between those who are seronegative and those that benefit from a strict plain vege diet. I’m seronegative and just finished 6 weeks on cucumber pears apple and celery and ive had simply stunning results. James, there is something different about those who have diet affect symptoms, yes. Is it a different disease mechanism? possibly. There is also documented effect of drastic diet changes – they usually leads to improvement in immune mediated diseases like RD. Unfortunately that effect is temporary. Hopefully that is not what’s happening with you, and you will continue to feel well. Hi..the information provided is very good..I amrecently being suspected of seronegative.wd all x ray normal nd RA Factor nd ACCP negative..my rheumatologist put me on DMARD since last three months nd initially was very relieved during first month f treatment but since last two months there is increase pain in almost every joints..is anyone else too experience it ..as I read somewhere that it might b the temporary side effects f methotrexate.. I have had a flar but landed up in bed could not move all joints musales seized up the pain has been excruciating and have been taking miss morp.I am on methotrexate now.y level was 100 is this bad. Hi Carol. I’m sorry you were diagnosed with RA. I don’t know which test level was 100 so I don’t know if that’s bad. Can you get copies of your lab results? When you look at it, there should be a Reference Range to show you what results are high, low, or normal range. I was recently diagnosed with RA with joint pain and some swelling (in enough joints to be considered RA) plus positive RF (low-positive @ 25). My rheumatologist ran some other tests (CRP, ESR, 14-3-3n, and Anti-CCP). All of these other tests came back within the “normal” range. I am curious – the anti-ccp came back as a 16. I know that a low positive is a 20. Does everyone produce this? Or could this possibly go up as the disease progresses? I’m just wondering if I really have RA or if I’m dealing with something else.